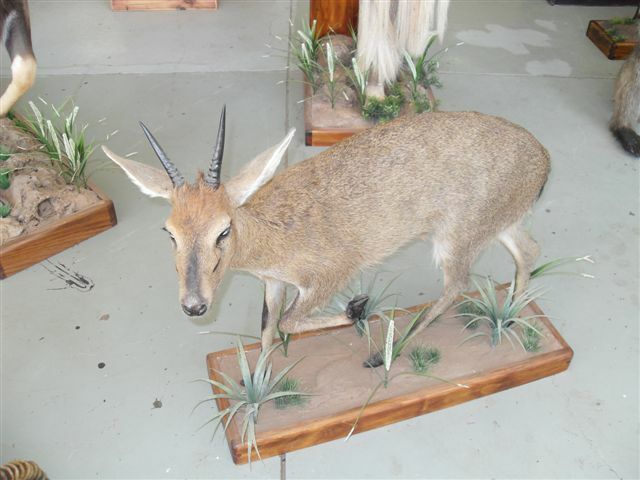 We now have concessions in NAMIBIA. 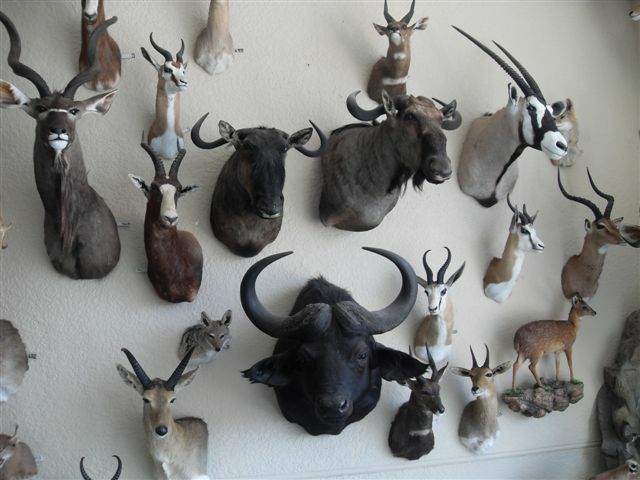 Whether you decide to have your trophy shoulder mounted, full mounted, a rug or just the European skull mount care needs to be taken immediately after the animal is shot. 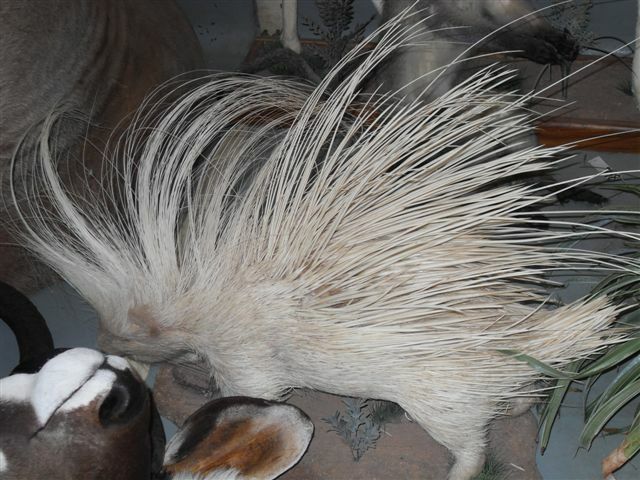 It needs to be skinned as quickly as possible to prevent damage or hair slippage. 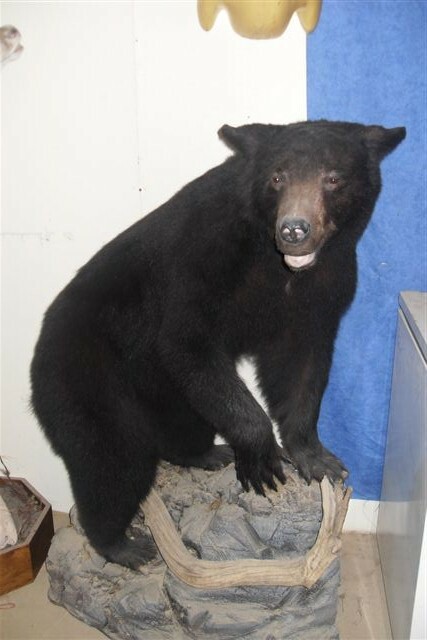 Our PH's always take the animal back to the skinning shed after the obligatory photographs have been taken. 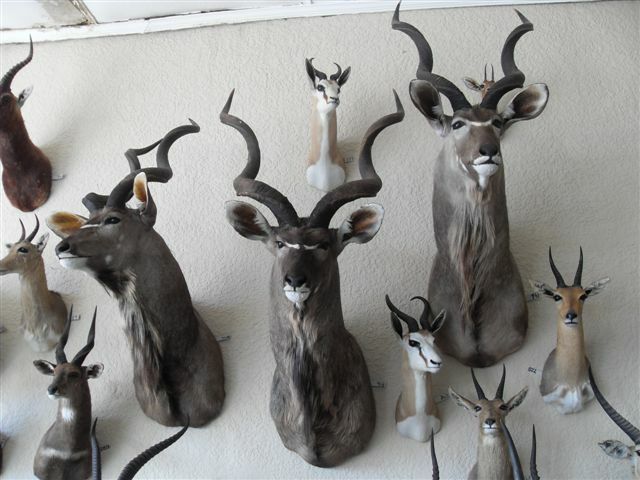 After skinning the skins are salted ready for delivery to the taxidermist. 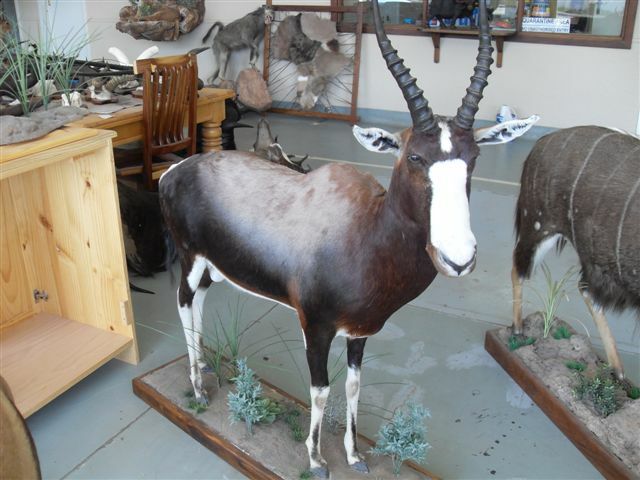 You cannot export raw salted skins from South Africa. 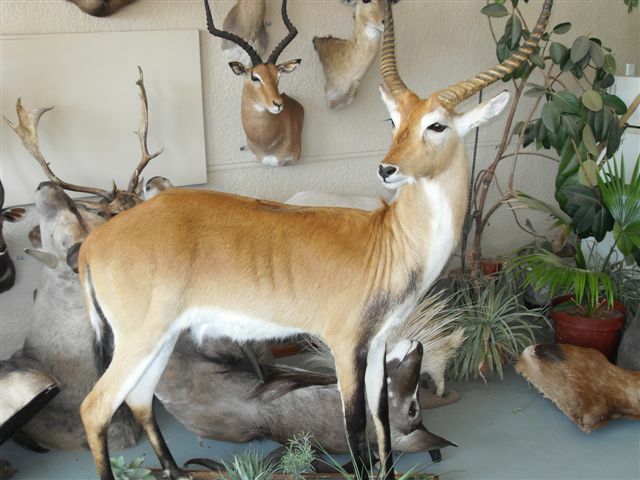 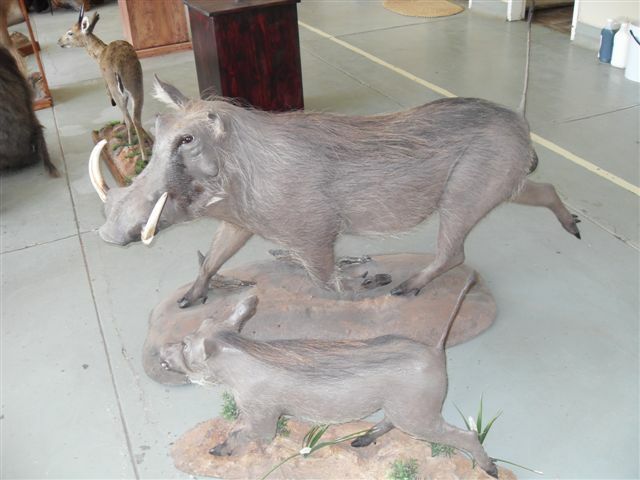 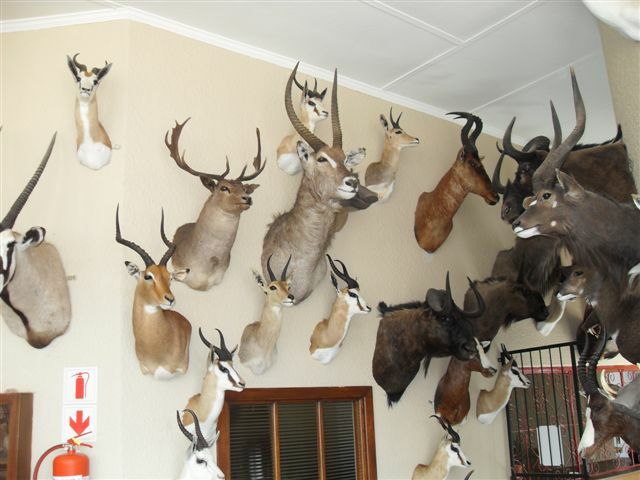 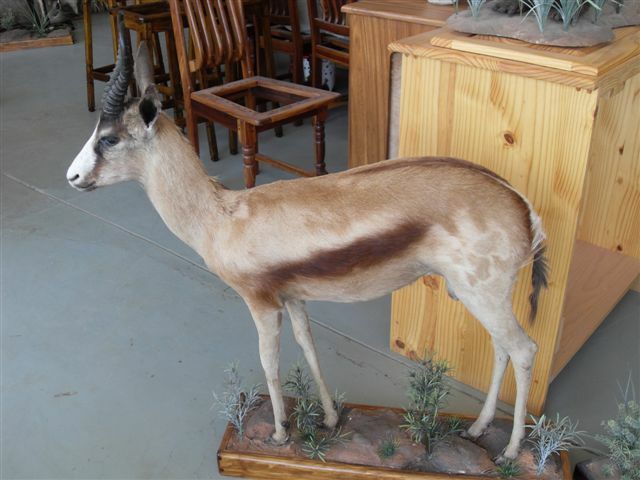 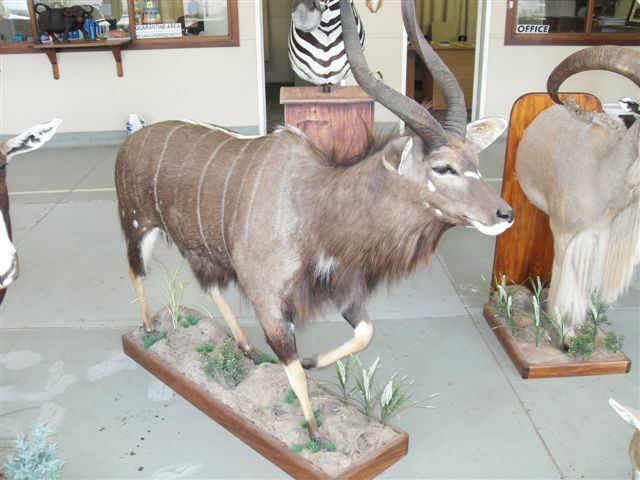 You need to make the decision whether you would like your trophies mounting in South Africa or bringing back for mounting in your own country. 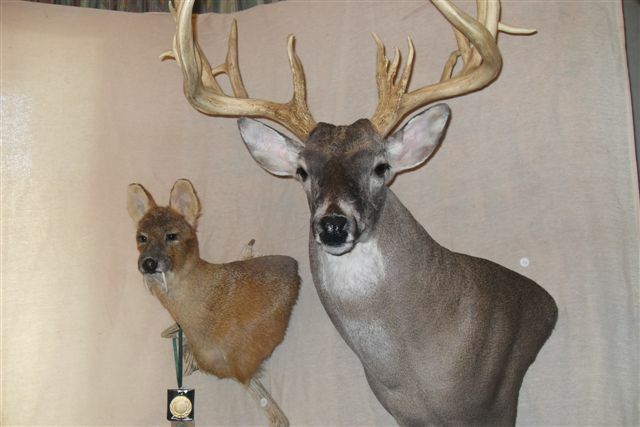 This can be a cost effective way to get your trophies mounted. 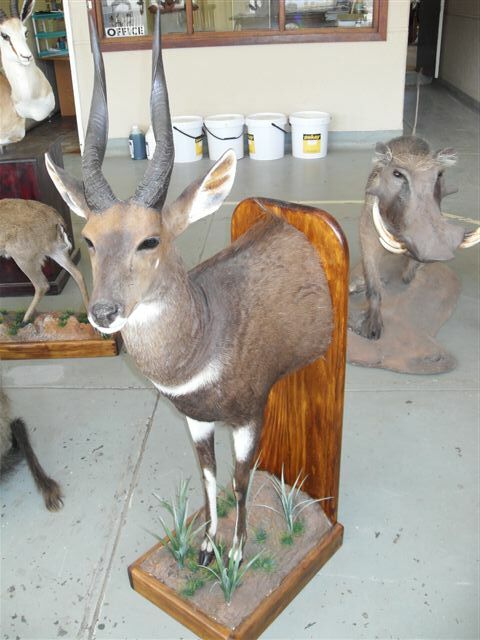 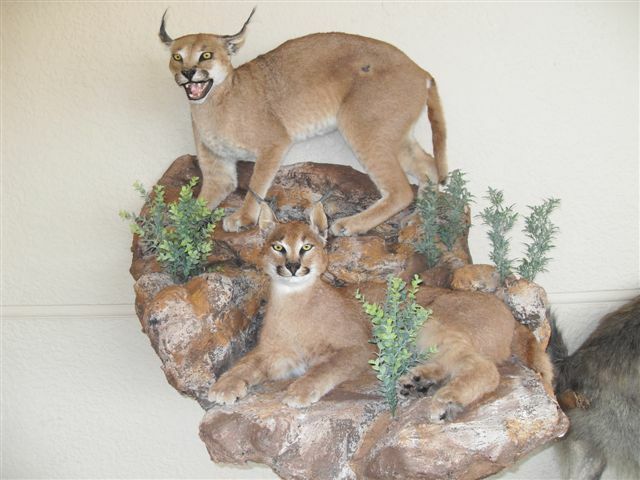 The taxidermist will take care of the mounting, documentation and packaging of the finished pieces. 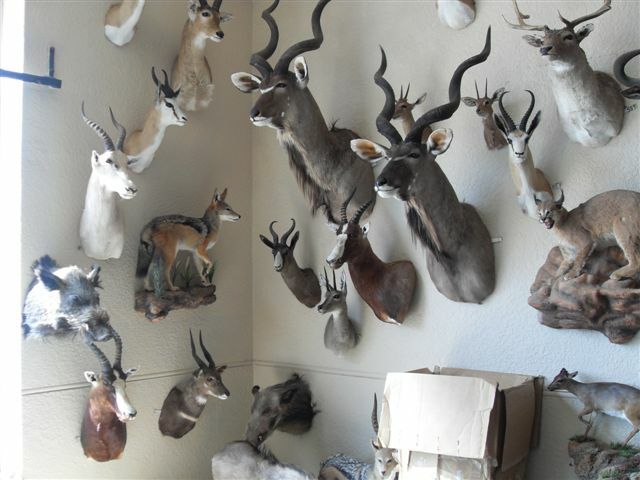 There are plenty of horror stories around about wrong trophies being shipped, poor workmanship, lost money etc. 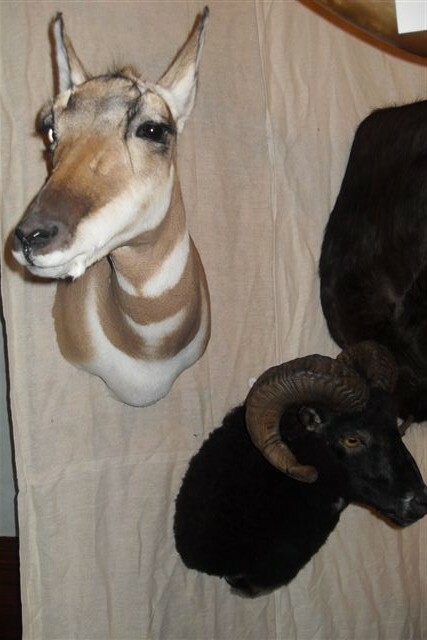 but I can recommend a taxidermist I have used and will continue to use in the future. 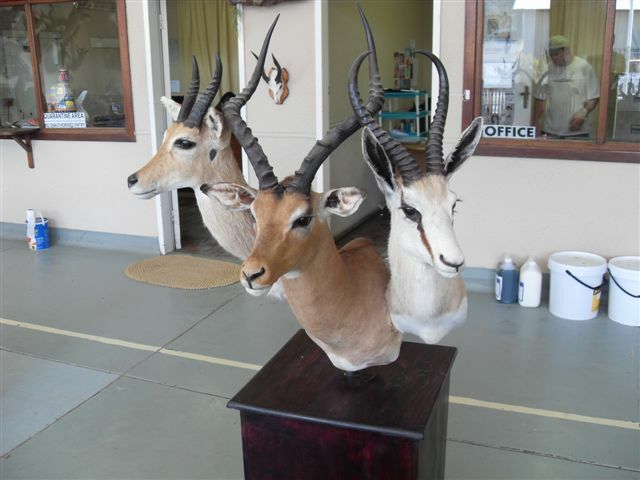 If you are having trophies mounted at home the taxidermist in South Africa will Dip and Pack your skins and raw prep the skull. 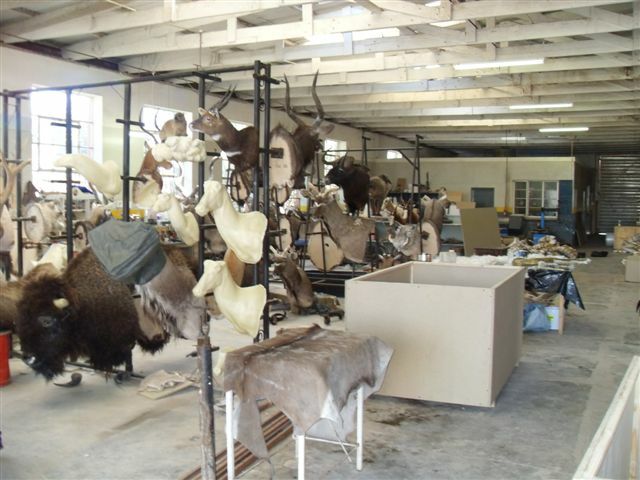 This involves various chemicals to preserve the skin and is the most basic way of bring trophies home. 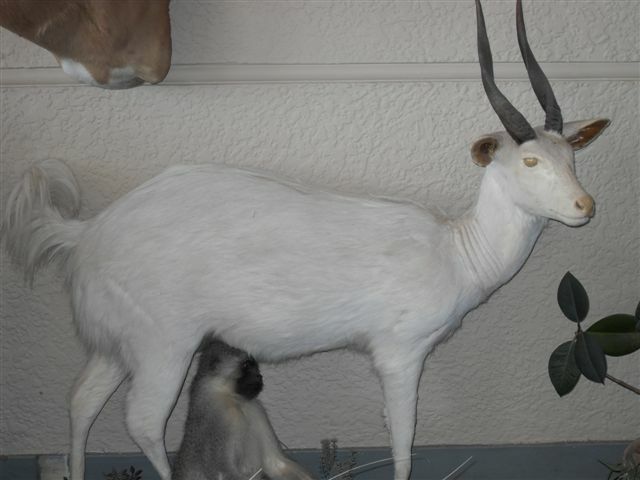 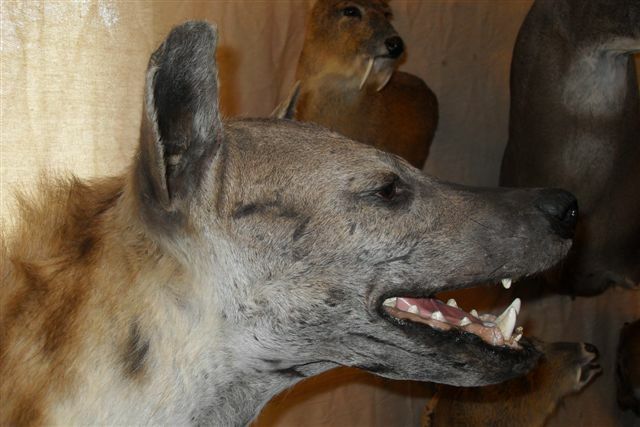 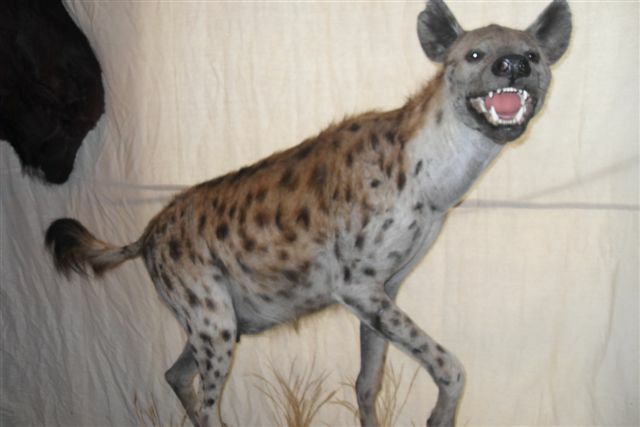 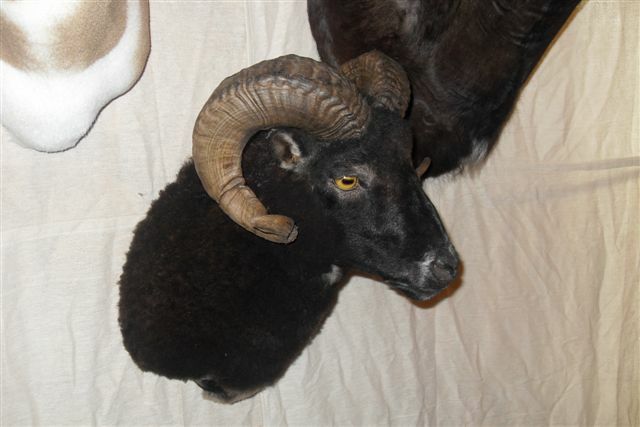 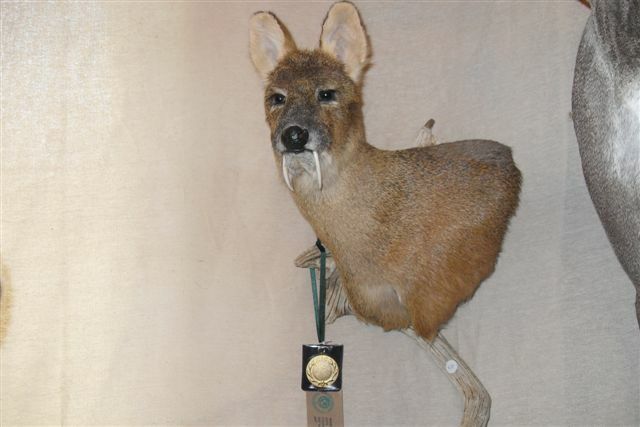 As a member of the Guild of Taxidermists I can recommend various UK taxidermists for mounting of your trophies. 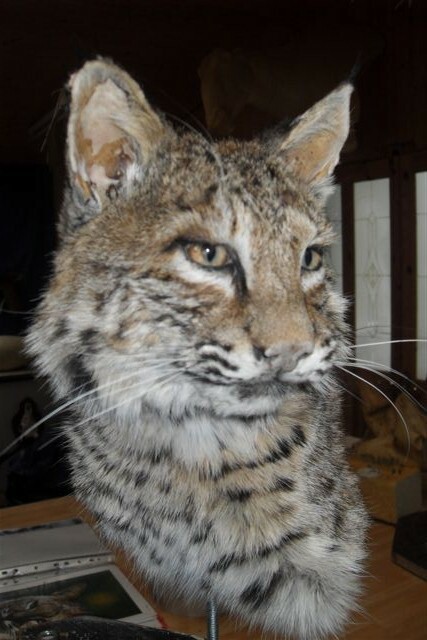 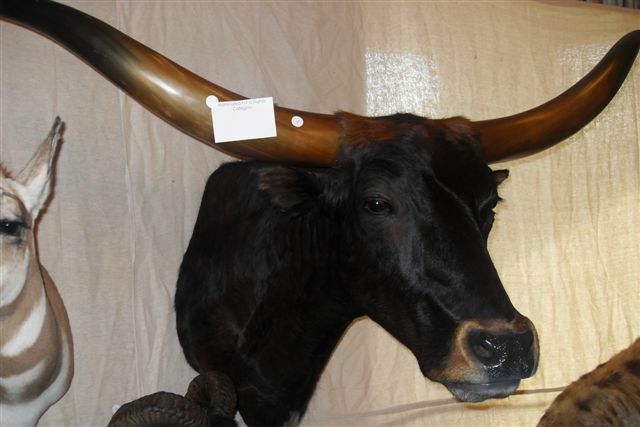 Our recommendation is Outwoods Taxidermy, Steve Newcombe who was World Game Head Champion in 2012. 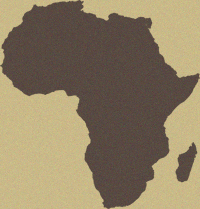 Please contact me to discuss this in further detail.